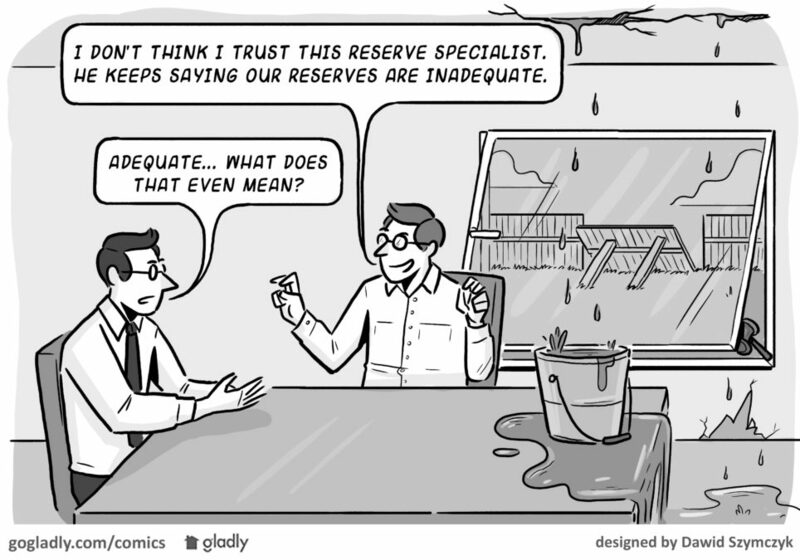 Does Your Association Have Adequate Replacement Reserves? Because deterioration — and any corresponding repairs and replacements — must take place on an ongoing basis, “adequate” replacement reserves is, by definition, a moving target! Just because you have adequate reserves today doesn’t mean the Reserve Fund will be adequate three months, three years, or three decades from now. In other words, “adequate replacement reserves” means that, through reserve funding and long-term planning combined, you have enough money for repair and replacement without resorting to special assessments. Defining “adequate reserves” was a major milestone and accomplishment among reserve specialists. However, definitions can only go so far. The second question boards and managers should ask about adequate reserves is a little more specific: How do we know if we’re able to provide for the “timely execution” of repairs “without reliance on additional supplemental funding”? The answer to this question is twofold. It starts with the Reserve Fund, but the Reserve Fund cash balance, by itself, is not particularly meaningful. Reserve Fund strength is reliably reported by a calculation called percent funded, which compares the Reserve Fund ($) to the deteriorated value of all the Reserve components ($) at any point in time. Statistics show that for associations above 70% reserve fund strength, the need for “additional supplemental funding” (special assessments) is rare. For associations below 30%, the risk of needing special assessments is quite high. Claiming a strong Reserve Fund now doesn’t guarantee the association will have sufficient Reserves in the future to “provide for the timely execution” of a necessary repair project. Remember, the definition of adequate hinges on a combination of your starting point (i.e., Reserve Fund strength) and how well the association continues to prepare financially (i.e., Funding Plan) for the physical deterioration that occurs every day. An association with a strong Reserve Fund (87% funded, for instance) may seem financially solid. But if Reserve contributions are significantly less than the rate at which the property is deteriorating, the Reserve fund will quickly drop in strength and the association won’t have the money it needs in six years to replace the roof. By the adequacy definition, that’s inadequate! On the other hand, an association with a weak Reserve Fund (17% funded, let’s say) that is making significant Reserve contributions can build the strength of their Reserve Fund in time, to responsibly provide for anticipated upcoming expenses. Now that’s adequate! The key to understanding how well prepared you are is to know your current Reserve Fund strength, and then compare actual Reserve contributions to the size of contributions recommended in your most recent Reserve Study. If the actual Reserve contributions are more than 20% less than the recommended contributions, the association is likely headed towards having insufficient funds to perform their Reserve projects on time without special assessments. But keep in mind that guidance from a Reserve Study more than three years old is of little value. If yours is that old, it’s probably time to get it updated. The bottom line? Physical deterioration is inevitable, but also predictable. The board is responsible for protecting the investment of all owners by having “adequate” Reserves. Providing for the “timely execution” of Reserve projects “without reliance on additional supplemental funding” requires a Reserve Fund and a Funding Plan that work together to set the association up for success! Robert Nordlund started Association Reserves in 1986. As a registered professional engineer and Reserve Study pioneer, Robert was involved in creating the 1998 National Reserve Study Standards and has greatly influenced the community association industry. His insights and views have translated into remarkable value for Associations of all shapes and sizes. Under Robert’s leadership, Association Reserves has grown to include 11 regional offices scattered throughout California and the United States. Prior to forming Association Reserves, Robert was a “rocket scientist” at Rockwell International, serving as the Lead Engineer on the Space Shuttle Main Engine Program. He was awarded a BS degree in Mechanical Engineering from the University of Washington. I often feel sorry for the reserve specialists because they’re looking at things as they actually are while their clients are looking at things as they imagine them to be. 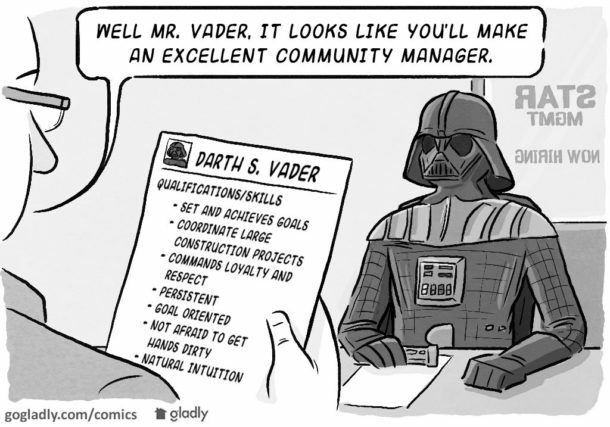 It’s difficult to get some organizations to see the reality of the community and face the long term requirements to keep it stable. Let alone continue to meet the requirements listed in the governing documents. That’s a good way to put it, Catharine. I think you board members and managers have an even more challenging job convincing the homeowners. I’d love to hear how you have handled this in your community. Thank you. I have asked the Management Co. for what was done when and the warranties. Seems they do not keep records that way. So, they must go through every receipt to find out, as they put it to me. I would think what you are recommending might be something I am interested in, but I have a board to explain it too. They are not on the board to work. They just want to approve everything the Management Co says. They have no business being on the Board. Thank you.